In the spirit of the מתנגדים Josh plays James Randi and posts about stories of the מתחסדים: How The Trickster Maggid Fleeced A Misnaged. This reminds me of an old post of mine Are all gedolim stories praiseworthy?. “Rational inference,” “The rules of grammar,”--On neither knowing what Rashi wore nor what Rashi said. “Woe to a generation in which every man does as he sees fit. And the matter should be publicized to prevent others from being drawn in by their ways,” write maranan verabonon gedolei Yisroel headed by Maran HaRav Yosef Sholom Eliashiv shlita, in a letter opposing the publication of “precise” (“meduyak”) editions of Chumoshim and Tehillim as well as new siddurim and machzorim that contain grave breaches and changes from the accepted tradition handed down to us. The letters appear at the beginning of a leaflet titled, “Ligdor Peretz,” distributed in Torah halls and botei medrash of every stream and background. Gedolei Torah encouraged the publication of the leaflet to express opposition to attempts to introduce new versions and foreign ideas in what is billed as a “precise siddur” (“Hasiddur Hameduyak”) in the nusach of Eidot Hamizrach containing “emendations” of the accepted nusach -- changes that threaten to damage the foundations of Judaism and cause breaches beyond our forefathers' imagining. Similarly, emendations in the books Tikkun Sofrim Hameduyak, Tehilim Hameduyak and Hachumash Hameduyak were based on “rational inference” and “the rules of grammar,” contradicting the accepted tradition practiced by Klal Yisroel. The publishers declared their intentions to disseminate the books widely in an attempt to replace the Chumoshim currently used by all kehillos. The book, Hachumash Hameduyak, represents an additional breach by supplanting Rashi's age-old commentary with a new commentary called Peninei Rashi Umidrashim, which leaves out numerous entries from Rashi's classic commentary and includes other midroshim of the editor's choosing instead. Talmidei chachomim asked to examine these books were dismayed, and when the matter was brought to the attention of gedolei Yisroel they were told the changes are cause for serious concern, particularly since the publishers openly declare that all of Klal Yisroel should adopt the new nuscho'os. The letters written by gedolei Yisroel express unyielding opposition to the books, whose editors failed to heed various warnings by the leading Acharonim not to alter the tefilloh by abandoning the nuscho'os we received from our forefathers. “ . . . And even more shocking is that they [grant themselves] the power, like Chazal, to issue decrees and to uproot, by omission, the nuscho'os of the Kadmonim” due to what they assert to be the needs of the hour. Among the alterations was the deletion of the word “meheiroh” from the Sephardic nusach of Bircas Ahavat Olom before Shema. Although Shaar Hakavonos of HaRav Chaim Vital includes the word, the editors insist on removing it despite HaRav Chaim Vital's assertion it was brought down from the Arizal himself. The editors also altered Oleinu Leshabei'ach, “based on the rules of grammar and speech,” replacing the words “vegoroleinu kechol hamonom” with “velo goraleinu kechol hamonom.” This alteration contradicts Rav Yehuda Hachossid and the Rokeach, both Rishonim who stated that Yehoshua Bin Nun formulated this prayer with exactly 152 words. This same “emendation” is recorded in the history books as one of the changes proposed by Nosson Ho'azosi, a talmid of Shabsai Tzvi yimach shemo. The leaflet Ligdor Peretz quotes poskim from various generations who say that one should strictly adhere to the tradition handed down to us from our forefathers and practiced in Klal Yisroel for generations and who rule out making changes even in cases where the text contradicts the rules of grammar. Some poskim even write that one who alters seforim based on logical inference should be excommunicated. The various “medakdekim” have always been known for initiating dangerous trends that must be stopped to keep them from entering the botei medrash. The rabbonim said the revisions to Rashi's classic commentary are in the spirit of the Haskoloh. The letter was signed by [rabbis]. Appended to the letter is a note by the leading Sephardic rabbonim which reads, “We hereby remonstrate against the changes in the holy writings and the longstanding nuscho'os of the tefilloh, based on logical inference they invented and the rules of grammar, and particularly against the terrible disdain, Rachmono litzlan, in the nusach of bircas Ahavas Olom appearing in Shaar Hakavonos. And all the words of those who make changes have no significance.” This addition was signed by [rabbis]. In a separate letter HaRav Shmuel Halevi Wosner backed the letter by maranan verabonon and wrote, “Today nobody has the power to undo decrees by our Kadmonim, even through mere omission, and this sin marked the beginning of the attempts to innovate that brought destruction upon all of Knesses Yisroel. In reference to the text I highlighted in red above it occurs to me: today there are those who neither want to know what color Rashi's shirt was nor what Rashi said. Here is a fascinating archaeological find from Dabbura in the Golan Heights. It is the lintel from what is apparently the Beit Midrash of רבי אלעזר הקפר (unless it was named for him). The inscription says זה בית מדרשו שהלרבי אליעזר הקפר / Zeh beith midrasho sheh-le-rabbi Eli`ezer ha-qappar / This is the Study House of Rabbi Eleazar Ha-qappar. Be that as it may, it's nice to see--eagles, interesting orthography and all. However, in Sephardic texts it is written רִבִּי or רְבִּי, both of which sound roughly like "rib--ee." Historically Ashkenazic texts also vocalized רִבִּי; the historical colloquial pronunciation seems to have been רֶבִּי --"rebb-ee" (or some variation, like רֶבֶּה "rebb-eh" or רֶבָּה "rebb-uh." In other words, when being grammatical (thus requiring vocalization) all texts had רִבִּי. The great Hebrew grammarian Elias Levita wrote that רִבִּי was correct. The question is, why? Rby רבּי means "my master" (or "my rabbi," in later usage). רַב means "master" or "rabbi." So why רַב should become רִבִּי instead of רַבִּי is a bit of a mystery, particularly in view of the fact that in the New Testament רבּי is transliterated paBBi , which would seem correct! Indeed, as I have said (and will show) Ashkenazim too wrote רִבִּי even if they said רֶבִּי! Eventually the grammatical oddity was noticed and pedantic maskilische oysvorfs began tampering with correcting canonical texts and thus was born רַבִּי, and thus all Ashkenazim who try to be correct now say Rah-bee רַבִּי (when learning Mishnayos, for example). From a 1527 Prague Haggadah (all are courtesy of JNUL). Lublin, 1610. Yes, that's Lublin. Poylin. Sulzbach, 1755 (Bavaria). This is from the cradle of Ashkenaz, and it is from the lifetime of the Gra, R. Ya'akov of Emden, R. Yehonathan Eybeschuetz, the Noda Be-yehuda, R. Hayyim Volozhiner, the Ba'al Ha-tanya--all of the early modern rabbinic figures who presaged modern Orthodoxy. Like most changes, you can practically date them, so long as there is a paper trail. In any case, the question is why did Ashkenazim pronounce it Rebbe and not Ribbi? It would seem to be a normal sound shift following a typical pattern. Two examples: in Ashkenazic Hebrew מִדְרָשׁ is pronounced מֶדְרֶשׁ and סִדְרָא is pronounced סֶדְרָא (but always spelled correctly!). 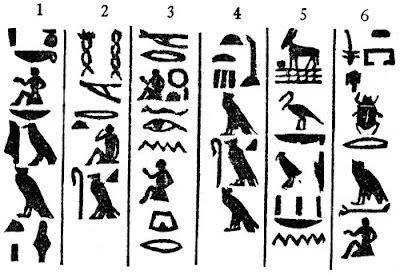 Following this pattern, spoken רִבִּי easily became spoken רֶבִּי. On the other hand, in this regard I might mention the name שִׁמְשׁוֹן, which is to be read "Shimshon," (or "Samson" in English, following the Greek) but colloquially became שַׁמְשׁוֹן, "Shamshon" in Yiddish. Presumably this was not patterned on the German, as German Bibles have "Simson." (However, "Samson," evidently, is how the name is used in Germany.) In any case, we may or may not have an example of another /i/ to /a/ shift. That being the case, רִבִּי could as easily have become רַבִּי (or vice versa). Except that it didn't. Perhaps the solution is that Septuagint שַׁמְשׁוֹן "Samson" was correct (in its time) and the same way it shifted to Simson שִׁמְשׁוֹן by the time written dots were invented, רַבִּי "rabbi" was the original form (as grammar would indicate) but it too shifted to רִבִּי. by the time vowels dots came into existence, thus all vocalized manuscripts show רִבִּי until it was corrected back to its conjectured original form. Josh's new Jewish blog aggregator Bluish Joggers. Looks nice! Some recent discussion on the Avodah list concerning the intellectual abilities of the Netziv (e.g.) remined me of the treatment by Gil S. Perl in his recent dissertation 'Emek ha-Neziv: A Window into the Intellectual Universe of Rabbi Naftali Zvi Yehudah Berlin, pp. XIX-XXII. "In 1829, as a boy of but thirteen and a half years old, an aristocratic marriage for Naftali Berlin was arranged as well. A year later he was married to Rayne Batya, the thirteen year-old daughter ofIsaac of Volozhin (1780-1849) and, at the age of fourteen and a half, he left his parents' home in Mir for that of his in-laws in Volozhin. "Barukh ha-Levi Epstein writes in a line that subsequently found its way into the popular imagination of the contemporary heirs of the Lithuanian Jewish community that his uncle, Neziv, was a boy of"average intelligence" who rose to the greatest of heights through his "extraordinary diligence. The available evidence, however, suggests otherwise. To begin, it is rather unlikely that Isaac of Volozhin, popularly known as Reb 'Izele, would have chosen a boy of "average intelligence" to marry his daughter. As the son of Hayyim of Volozhin who founded the Ez Hayyim Yeshivah in Volozhin, authored the highly influential Nefesh Ha-Hayyim, and was widely viewed as the preeminent student of the Ga'on of Vilna, there were few families in the Jewish world that were more distinguished than that of Reb 'Izele. Although not the innovator that his father was, Reb 'Izele succeeded his father as head of the yeshivah in Volozhin and was widely recognized as one of the preeminent communal and intellectual leaders of Russian Jewry. As such, it is rather unlikely that he would have chosen a husband for his daughter who did not exhibit promise as a budding Torah scholar. "Furthermore, in recounting a meeting he had with Reb 'Izele in 1841, Max Lilienthal (1815-1882) writes that he was received by his "son-in-law Rabbi Lebele" a man of some 30 years and one of the most celebrated Talmudists in Russia.'" In truth, Neziv was only twenty-five years old at the time. The fact that Lilienthal's statement was first published in the late 1850s prior to the publication of any of Neziv's works and the reasonable assumption that it was composed before Neziv was appointed head of the yeshivah in 1853, suggests that Lilienthal's tangential comment is an authentic reflection of Neziv's reputation in 1841 rather than a retrospective perception of a Rosh Yeshiva's youth. As such, either Epstein's characterization of the young Neziv as a boy of "average intelligence" is incorrect, or the perception of Neziv underwent a remarkable transformation from a boy of "average intelligence" to "one of the most celebrated Talmudists in Russia" over the course of only ten years." If Epstein's characterization is incorrect, it probably results from two different factors. 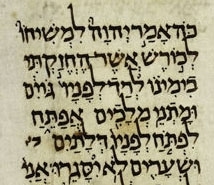 The flrst is Neziv's own humility to which his writings clearly attest (for example, see MD(l: 32); MD 1: 36; MD 2: 91; MD4: 24). The second is the longstanding tradition stemming from the 1856 dispute between Neziv and Yosef Baer Soloveitchik over who would lead the yeshivah in Volozhin, in which the learning style of Neziv was characterized by sweeping breadth and that of the Soloveitchik family was characterized by incisive depth. The genius and charisma of Hayyim Soloveitchik, son of Yosef Baer and son-in-law of Neziv's daughter, firmly cemented the incisive method as the intellectually superior mode of study in the imagination of Lithuanian rabbinic circles in the early twentieth century. As a result, it became perfectly plausible that, when viewed from the perspective of the proponents of Soloveitchik's methods, Neziv would be viewed as someone of "average intelligence," whose rise to prominence must have been due to the inordinate amount of time he devoted to acquiring his exceptionally broad knowledge base. While Epstein was indeed a member of Berlin's family, his high esteem for the Soloveitchik family (as evidenced by the fact that he sought rabbinic ordination from YosefBer Soloveitchik in addition to that granted by Neziv, as related in Chapter 38 of the fourth volume of his Mekor Barukh), the fact that his own method of study does not resemble that of Neziv, and the fact that his reconstruction of the Neziv's early years takes place in the 1920s, well after the death of Neziv and the rise of the Brisker school to prominence, makes Epstein's adoption of a Soloveitchik perspective on Neziv's youth all the more plausible. In a note Perl points out that according to Eliezer Leoni, Sifra shel ha-`Ir ve-Shel Yeshivat "`Ez Hayyim," (Tel Aviv:1970), the Neziv was actually only eleven when the marriage was arranged with R. Izele's daughter Rayna Batya; the actual marriage took place when he was thirteen; but the main text favors 13 and a half for the betrothal and a year later for the marriage, which is the dates given by the Neziv's son R. Meir Bar-Ilan in Rabban Shel Yisrael (New York:1943), pg. 16-18. In other words, the discussion about whether the son of R. Hayyim would take a boy of average intelligence for his daughter or not is about the aptitude shown by an eleven or thirteen year old. Incidentally, there is an interesting account (or more accurately, fleeting allusion) to some of the challenges a historian may face in gaining access to primary source material in possession of traditionalists who do not appreciate/ agree with the work. In this case limited access with constant supervision was granted to Perl with constant supervision (p3. 39, 52, 55-56). "When I asked to look at this reference in the manuscript, it was reviewed by two members of the...family and was denied permission to look at it. Nonetheless, I did manage to see what seemed like a legible acronym..." "My access to the manuscript was always limited to sitting next to a member of the...family who would turn to the page I wished to check and look at the specific textual anomaly before deciding whether to let me look as well. In this case I was able to peer over his shoulder and attempt to decipher the acronym..."
A jubilant alternative to the Torah from antiquity? One of the Jewish apocryphal books from the 2nd Temple period is Jubilees. In an article called The Book of "Jubilees" and the Pentateuch by Solomon Zeitlin, New Ser., Vol. 48, No. 2, Dropsie College Jubilee Alumni Issue. (Oct., 1957), pp. 218-235--read it here--the hypothesis is put forth that this book--which reviews quite a bit of the Torah's narrative with important differences. 26. And he blessed his Creator who had created him in his generation, for He had created him according to His good pleasure; for He knew and perceived that from him would arise the plant of righteousness 1 for the eternal generations, and from him a holy seed, so that it should become like Him who had made all things. 27. And he blessed and rejoiced, and he called the name of this festival the festival of the Lord, a joy acceptable to the Most High God. 28. And we blessed him for ever, and all his seed after him throughout all the generations of the earth, because he celebrated this festival in its season, according to the testimony of the heavenly tables. 29. For this reason it is ordained on the heavenly tables concerning Israel, that they shall celebrate the feast of tabernacles seven days with joy, in the seventh month, acceptable before the Lord--a statute for ever throughout their generations every year. 30. And to this there is no limit of days; for it is ordained for ever regarding Israel that they should celebrate it and dwell in booths, and set wreaths upon their heads, and take leafy boughs, and willows from the brook. 31. And Abraham took branches of palm trees, and the fruit of goodly trees, and every day going round the altar with the branches seven times. Interestingly, Jubilees names Jerusalem as God's chosen place, which the Torah didn't. Precisely because it parallels yet differs with the Torah (in many cases being "stricter") Zeitlkin believes that it was intended to replace the Torah. When the kingdoms would be allegorized, they would be compared to animals, and when the מצרים would be allegorized, they would be compared specifically to foxes —Rabbí El‘azar beRabbí Shim‘on said: the מצרים were tricky, therefore they were compared to foxes; and just as foxes walk while looking backwards, so too do the מצרים walk while looking backwards. Could be. I'm not so sure this is precisely what is intended because with a little checking it doesn't seem like human figures are always facing backward in Egyptian hieroglyphs. Indeed, such postures are a part of popular culture. 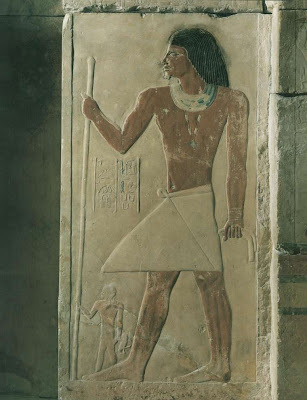 I believe Steg gave a beautiful explanation for the factual, historical basis of this midrash, although I think that perhaps it is a more general allusion to type of Egyptian depictions in reliefs which we are used to, rather than hieroglyphs specifically. Or, maybe they did walk backwards! Examining the Artscroll phenomenon (on diversity, illusion of). At What's Bothering Artscroll? I posted the full text of the interesting Jewish Press interview with R.*Nosson Scherman. I posted it mainly for posterity, since I don't know if the Jewish Press archives will always hold it. I didn't have the chance to highlight excerpts which I found interesting and worth comment; besides, R. Maryles already got to some of it. So I thought it might be interesting to discuss another angle of the Artscroll question, namely that its critics maintain that it presents a particular Jewish hashkafah using selections from a wide (but somewhat resticted) range of classic Jewish sources without giving a true picture of the views of these sources (save, perhaps in works dedicated to one specific person, e.g., their multi-volume translation of Ramban's commentary to the Torah) and subsequently without revealing for the uninitiated that the corporate hashkafah may or may not be shared in part or in whole by the sources it quotes--certainly allowing for the impression that it does. What I mean by that, is that one may form the impression that sources ranging from R. Avraham Ibn Ezra to R. Wolf Heidenheim essentially share the general Artscroll hashkafah given that the only comments cited by these figures are of the sort that form the potpourri of views. Some people claim that ArtScroll does not quote rabbis from certain camps in their works. For instance, I’ve heard complaints in Chabad circles that the Lubavitcher Rebbeisn’t quoted. The same could probably be said about Rav Kook. How do you respond? "Authors will quote, first of all, classic sources, which almost by definition excludes almost anybody in the 20th century. My commentary on Chumash relies mostly on classic sources, and some moderns. Rav Soloveitchik is quoted there, as are Rav Kotler, Rav Feinstein and Rav Schorr. But if it’s my commentary, then I’m going to write it according to what I learned and my style of learning and how I understand it, and I’ll quote my teachers. "There are a lot of great men who are not quoted. Rav Chaim Ozer Grodzenski was the gadol hador and I don’t think he’s quoted anywhere in the Chumash or Tanach. Neither is the Satmar Rav. The idea is that the person who’s learning it should understand the content. It’s not a question of trying to include as many names as you can for the sake of popularity. It’s a matter of trying to clarify the material." The text I put in red is the most cogent answer I could possibly think of. Indeed, Artscroll's weltanschauung is that of their writers and contributers. Why on earth should it be anyone else's? But this begs two questions. One, certainly Nosson Scherman should be expected to present his teachers and his style of learning and not other's teachers and other styles of learning. But if Artscroll respects the legitimacy of other teachers and styles of learning, why isn't its oeuvre more diverse by the simple method of hiring a more diverse team of writers? In other words, I could understand if its team of mainstream sort-of-centrist yeshivishe writers would output mainstream sort-of-centrist yeshivishe product. But why should all of their writers have that background when there are other legitimate teachers and other legitimate styles to be taught? The second is that the rest of the comment seems to negate this contention. Why then is R. Soloveitchik cited? Was he a forerunner and teacher of Nosson Scherman as were R. Kotler and R. Kamenetsky and R. Shorr? How could one escape the conclusion that R. Soloveitchik was included for some sort of cultural or political reason, and if so, why ought one not conclude that a R. Kook or a Lubavitcher Rebbe were excluded for the same reason? Some companies are $10 million companies, others, $100 million. Is there a number one can pin on ArtScroll? No, I can’t give you a number on that. But I can say that people think that ArtScroll is a gold mine. It’s not. We have to go out and raise money. It’s very very far from a gold mine. Some books sell very well, but the profits from those books subsidize the other books. Primarily, though, major works like the Talmud, Ramban, Divrei HaYamim etc. cannot be funded by the market. It’s no different than a yeshiva, or, l’havdil, Harvard or a symphony orchestra that has to raise money in addition to tuition and ticket sales. there is an interesting link. *Now that R. Marcus Lehman is "Lehman," TRFKA R. Scherman may as well be Nosson Scherman. ArtScroll, an imprint of Mesorah Publications, is a phenomenal success story. In almost every Jewish home and synagogue one can find ArtScroll’s biographies, Jewish law books, and translations and elucidations of Jewish classics. According to Rabbi Nosson Scherman, ArtScroll’s general editor alongside Rabbi Meir Zlotowitz, ArtScroll has published more than 800,000 siddurim, 400,000 chumashim, and 2,000,000 volumes of Talmud. In 2004, ArtScroll completed its 73-volume translation and elucidation of the Babylonian Talmud – a project that cost an estimated $21 million. The Jewish Press recently spoke with Rabbi Scherman about ArtScroll’s accomplishments and some of the criticisms that trail almost every successful endeavor. The Jewish Press: How do you explain ArtScroll’s success? Rabbi Scherman: Since the end of World War II, you have had a couple of generations of men and women who went through yeshivas and Bais Yaakovs. They are people who want to learn (as well as many baalei teshuvah who are interested in Yiddishkeit), but English is their first language. Even if they can open a sefer and learn it, it’s an effort. They can’t curl up with it and read it easily. But here you have something in their own language with a pleasant style and attractive graphics. A lot of serious, curious and sincere people have felt that here finally is a way that enables them to learn. ArtScroll recently began translating and elucidating Talmud Yerushalmi (the Jerusalem Talmud), which used to be a closed book to most people. What made you decide to undertake the project? Yerushalmi is very hard to learn. But Yerushalmi is also one of the classics of Torah Yiddishkeit. To say that it’s important is an understatement. Since we had people talented enough, we felt it was our responsibility to do it. The work is difficult mainly because there’s no Rashi, who is the key to everything. Anyone who worked on the ArtScroll Talmud Bavli will tell you that they went away from it with a much greater appreciation of Rashi than they ever had before. The first ArtScroll Yerushalmi volume in Hebrew, Maseches Shevi’is [next year is a shmittah year], has recently been published. This is very important because the Yerushalmi Shevi’is is the basis for the laws of shmittah. There is no Talmud Bavli on Maseches Shevi’is. Does ArtScroll commission projects or do people simply submit manuscripts unsolicited? Both. When people come to us with a manuscript, if we feel it has merit and will serve the public, then we’ll accept it. There are books that we did because we felt they were important and we were counseled by gedolim to do them. Divrei HaYamim is probably the best example. We were urged by Rav Yaakov Kamenetzky and Rav Mordechai Gifter, zt"l, to do it because there’s no really good commentary on Divrei HaYamim in any language that discusses the differences between the accounts in Divrei HaYamim and Shmuel and Melachim. And there are many variations. It was supposed to be a one-shot thing, a one volume tribute, period, because Rabbi Zlotowitz had a business and I was a yeshiva principal. But that Megillas Esther turned out to be amazingly popular. I think over 20,000 copies were sold in just a couple of months, from the time of publication until Purim. And then, roshei yeshiva urged us to continue. So we both continued part time. And then we started doing it full time, and then time and a half. Where did the name ArtScroll come from? From Rabbi Zlotowitz’s business, his studio – ArtScroll studios – which did brochures, scrolls used for awards and invitations. "ArtScroll" – because they were artistic scrolls, very beautiful, colorful, with calligraphy. The name stuck. Authors will quote, first of all, classic sources, which almost by definition excludes almost anybody in the 20th century. My commentary on Chumash relies mostly on classic sources, and some moderns. Rav Soloveitchik is quoted there, as are Rav Kotler, Rav Feinstein and Rav Schorr. But if it’s my commentary, then I’m going to write it according to what I learned and my style of learning and how I understand it, and I’ll quote my teachers. There are a lot of great men who are not quoted. Rav Chaim Ozer Grodzenski was the gadol hador and I don’t think he’s quoted anywhere in the Chumash or Tanach. Neither is the Satmar Rav. The idea is that the person who’s learning it should understand the content. It’s not a question of trying to include as many names as you can for the sake of popularity. It’s a matter of trying to clarify the material. How do you respond to critics who accuse ArtScroll biographies of whitewashing history by characterizing great rabbis as saints without faults? Our goal is to increase Torah learning and yiras shamayim. If somebody can be inspired by a gadol b’yisrael, then let him be inspired. Is it necessary to say that he had shortcomings? Does that help you become a better person? What about lashon hara? You know in today’s world, lashon hara is a mitzvah. Character assassination sells papers. That’s not what Klal Yisrael is all about. to write a biography and knowingly exclude material? Why is it sheker to omit lashon hara? It’s not. People say, "Well, why don’t you say that this or that gadol had certain serious character flaws?" So you’re not saying it. Is that sheker? It’s not sheker. Rav Yaakov Kaminetzky once said in a "shmuess" that if you go over to somebody and say, "You know you have a long ugly nose," that doesn’t make you an ish emes [man of truth]. That makes you a rasha [wicked person]. How do you respond to the claim that ArtScroll gemaras make learning too easy? Well, history answers that. There are thousands upon thousands of people who, if not for ArtScroll, would not have opened a gemara in years. That’s number one. Number two, there are countless people that come over and tell me they started out using the English side and they ended up learning the Hebrew side. Now another thing – the notes on the English side refer people to other sources. Rav Elyashiv, shlita, has gone through the notes in several of the Hebrew volumes and he says he finds them invaluable. If somebody is serious about learning, then it’s not going to take away from his effort. It will increase his effort. It will enable him to focus his efforts better and go on to explore the sources we offer for further research. Rabbi Dr. Marcus Lehman’s books [first published in Germany in the 19th century] are saturated with Jewish themes and values. Some of ArtScroll’s books, on the other hand, sometimes seem almost accidentally Jewish. The characters, names and some other details might be Jewish, but otherwise the story seems largely secular. Can you comment? There’s a shortage of writers. The Orthodox Jewish public is not that big, the well-educated people are not that many and of the ones who are, how many of them are interested in writing books? Lehman was an exception to the rule. He did marvelous things, but how many Marcus Lehmans were there? That being said, many of our novels have a real solid Jewish content. What you say is true. Some of them are really good yarns, good stories that have Jewish characters, but, by and large, I think most of them have Jewish themes and Jewish values. A fantastic post (from February) at Trailing Technology about what is probably the world's last hand written newspaper! This Urdu newspaper ("The Musalman") is beautifully handwritten each day, off-set printed, with a circulation of about 20,000. Abstract: NEJ's omission of most of the original 8000 photographs is a fatal flaw. NEJ includes some good new articles, but fails to update many articles even though there were many important studies on those topics in the past 35 years. Includes errors such as having two entries for the same person with different and contradictory information in each one). NEJ omits entries for figures that--arguably--are more than "borderline" in deserving inclusion,** including many women, rabbinic figures and Judaic scholars. NEJ claims it has to exclude Jewish communities of under 4500, but not only includes one such community but excludes several Jewish communities that almost certainly are greater than 4500. NEJ includes entries for what most would reasonably agree are "borderline" figures. "...hold on to your 1972 edition of EJ for dear life! It is not at all clear that NEJ has superseded, or that it will ever supersede, EJ. All public libraries and private collectors will do well to retain their 1972 editions of EJ and keep them precisely on the same shelves they have now occupied for some 35 years." * Or as he politely calls it "preliminary observations." ** Indeed, I wondered why Rabbi JJ Schachter deserved an entry (he does) but not Rabbi Hershel Schachter of RIETS (although R. JJ S's father R. Hershel Schachter has an entry). see also. edit: Prof. Jeffrey Woolf reminisces about his experience working for NEJ for six months and advises "DON"T THROW AWAY YOUR EJ!." Our Rabbi Shlomo, my mother's father, enlightener of Diaspora eyes (i.e, Rashi) who wrote commentaries on Tanakh preferred mainly to explain the literal intention of Scriptures. I, Shmuel son of Rabbi Meir, [Rashi's] son-in-law זצ"ל, held dialogues with him,*and [Rashi] admitted to me that if he had the time he would have authored additional comments explaining the new [literal exegesis] explanations that were occurring to him every day. *Possibly challenging this or that explanation which Rashi had offered? If ever there was a "famous Rashbam," this is it. And justly so. Rashbam was uniquely situated to tell us something about the great master, and we are glad to know this. Let's consider peshat [exegesis to show authorial intent**] for a moment. It is the case that the Bible has been combed over many times for many a long year by very smart, very exacting, very sensitive exegetes. Although the answers may not always satisfy, most questions seem to have been asked already. **Of course someone will pipe up and say "Halivni says peshat means 'context.'" I don't see that as a contradiction to the idea that it means authorial intent. Actually, that may not be true. How can we know if most of the questions to be asked have been asked? Perhaps that just reflects the fact that few original questions are being asked now, but some watershed (a very smart person; a very great discovery; a revolutionary new way of thinking) will show that there are many new questions to be asked and answered! But suppose it is. I certainly find that most Bible issues have been raised or hinted at least once already, which is why in most commentaries there is the possibility of citing earlier explanations. In any case, it has been my studied observation that many people don't seem to care for a new peshat that has not already been offered or alluded to. They seem suspicious of it, or if not, just skeptical. Consider the two threads at DovBear on the meaning of the enigmatic story of Miriam and Aharon's conversation against Moshe (Num. 12:1-16). The issue: Moshe's wife Tzipporah is described as being from Midian (Ex. 2:21). Here she is called a Cushite (כושית) , but is not named [biblically כוש is probably Ethiopia]. Translators and commentators have long tried to understand what happened here. There were two trends. One assumes that Tzipporah the Midanite was meant and thus seek to explain what כושית means in some sense other than "a Cushite," which is to say, not an Ethiopian. Others assume that is exactly what it means and posit another wife besides Tzipporah from the book of Exodus; a woman from Cush. Be that as it may, I think the most parsimonious explanation is to bear in mind Habakkuk 3:7 - "The curtains of Cushan were troubled, and the tents of Midian were shaking." In its use of parallelism the prophet equates Cushan (כושן) and Midian. Could כושית just mean "a woman of כושן"? Yes, I think so. Two explanations are possible: (1) This reference is to Zipporah, "Cushan" being part of Midian (Hab. 3:7); (2) Moses married a second woman in Egypt, a Nubian (= Cush). The latter is more plausible since Nubia was part of the Egyptian empire and dark-skinnned women were considered beautiful, as reflected in the Targum's rendition of Cushite as "beautiful." I do not know what justifies the latter as more plausible, since the latter must posit a character that had never been mentioned and comes awfully close to being a Deus ex machina. Either way, I don't know the the origin of this explanation I favor. Since I do not believe I arrived at it independently, nor do I believe that Nili S. Fox was mechadesh it, I will have to confess that I don't know. But I am sure it is not a medieval Jewish explanation,*** nor a medieval (or earlier) Christian one. In other words, one must note that none of the classic or not-so-classic commentators thought of Hab. 3:7. Although the results of modern philology, archaeology and other kinds of critical study was not available to them, almost every one of them knew the text of the Bible practically, if not literally, by heart. It seems unlikely that this explanation should have eluded all the "very smart, very exacting, very sensitive exegetes" (if I may quote myself)! Ordinarily this should give one pause. One must consider if all those people, or at least some of them, did make the connection but rejected it as a plausible explanation. If so, why? Since all of them are silent while usually at least one of the exegetes will discuss a possibility that they reject, one is inclined to believe that this simply did not occur to any of them. That is, they didn't reject it if they didn't consider it! Is it possible that the true peshat, the true authorial intent of this little story in the Chumash was not discerned until relatively recently? That seems so farfetched! And yet, the exegetes themselves offer convincing peshat explanations which had not been given and evidently not thought of before their time. Why should there be a cap on original and true (or likely) exegesis? Did not Rashi acknowledge that every day he was refining his understanding of the peshat? A justly famous example of a success of a modern discipline (archaeology) shedding light on what is almost certainly the correct peshat (authorial intent). Sure: maybe my preferred explanation here is flawed. But why? Tell me what's wrong with it. Is it that no one seems to have understood it that way until recently? Is it that she should have been called a "Cushanite" instead of "Cushite"? Help me out here. Edit:***I must confess that I have embarrassed myself. Shortly after posting this it was pointed out to me that Ibn Ezra says this explanation! Clearly this is where I first heard the explanation. Furthermore, it basically invalidates almost the entire post, as I meant to give a practical example of a new explanation which seems correct. In this I failed. However, I will leave this post unedited so as not to alter my own history. Furthermore, some of the issues and questions I raised are still worth pondering. The pointed text of Rashi's Isaiah is different from ours; also, does Artscroll avoid any textual criticism issues in Tanakh? R. Nahman son of R. Hisda gave the following exposition. What is the meaning of the verse, Thus saith the Lord to his anointed to Cyrus, whose right hand I have holden. Now was Cyrus the Messiah? Rather what it means is: The Holy One, blessed be He, said to the Messiah: I have a complaint on thy behalf against Cyrus. I said, He shall build my house and gather my exiles, and he [merely] said, Whosoever there is among you of all his people, let him go up. In other words, the Gemara explains that Cyrus is not called God's annointed ('messiah), rather read "Thus saith the Lord to his annointed" with a colon, rather than a comma. That is, Rashi wants to say that the cantillation, the trope, the טעמים on the words למשיחו לכורש prove this disjunctive reading correct. How so? The trope on למשיחו is a zarka , which are nearly always followed by a segol (anyone who reads the Torah will attest to this). This configuration is conjuctive, that is to say, it connects words. However, in this case the zarka is not followed by a segol . It's followed by a מאריך, that is to say, a mercha , the purpose of which is to disjoin these two words. This is a wonderful example of how Rashi uses the cantillation in his exegesis; in this case to support the Talmudic explanation of the verse. Here's the thing: open up an any Tanakh to Isaiah 45:1 and you will not find a zarka mercha ( ) over the words למשיחו לכורש. In fact, you will almost certainly find a zarka munach ( ) pair. and following this are many modern editions, e.g., the Artscroll Tanakh. (More on Artscroll below). 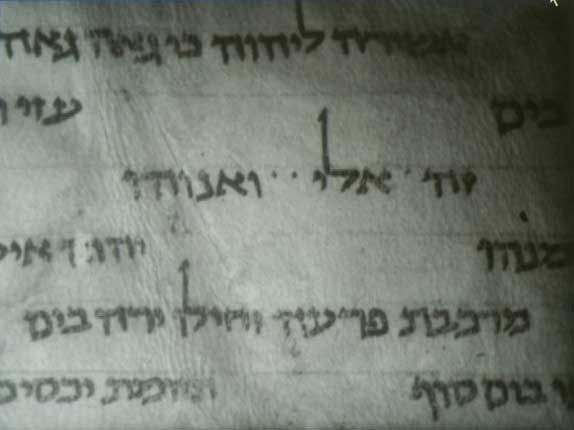 As you can see, this is neither like Rashi (zarka mercha) or like the Leningrad Codex and the modern editions (zarka munach), rather, it is a pashta followed by a munach: Mar Gavriel corrected me, noting that the symbol that the AC uses for zarka simply resembles the pashta, but is in fact zarka. Thus, the only thing interesting about this image from the AC is the information that it uses a graphic symbol of different appearance from the present norm; it was news to me and perhaps it is news to someone reading. So I may as well leave it. In any case, it's another textual witness to zarka munach ( ) , which is to say our texts, and not Rashi's. I propose that the graphic similarity between mercha and munach led to different readings reflected in Rashi's comment and in our own. Rashi proves [R. Nahman bar Hisda's contention that למשיחו לכורש are to be understood separately] by pointing out that the trop (the masoretic cantillations), of the word למשיחו is a zarka, which is generally followed by a word with the trop of segol, which signifies that the words are connected. However, in this verse the word לכורש, which follows למשיחו, does not have a segol. This proves that the two words are not connected. Indeed, Rashi says this, but Rashi says something else which the commentary doesn't say: Rashi says which trop follows instead--a mercha, rather than a munach which our editions have! Could it be that Artscroll avoids textual criticism issues in Tanakh like the plague, even an innocuous one? I thank my grandfather for making me look up the passuk in Isaiah as we learned this Gemara in Megillah many years ago. It was then that I discovered (admittedly with him all but flashing signs in my face prompting me to) that Rashi indeed had a trope symbol here which we do not.